There’s no doubt that we eat with our eyes as much as with our sense of smell and taste! 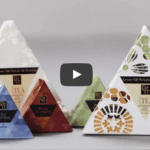 Watch the video to learn why food packaging is an integral part of the eating experience itself. Looking for more great Highcon application videos?